If you’ve stumbled across this article, I’m going to assume you’re curious as to why in the world a market of $400 keyboards exists. Heck, I’m wondering the same thing. I was taking a look around Amazon, and found this strange product: the Logitech diNovo Edge Keyboard , $399.99. What Is the Logitech diNovo Edge? A valid question indeed. Before you go off with the conclusion that this keyboard is just a cash cow that Logitech is milking so people can spend 100 times more on a standard keyboard, I’d like to explain what the diNovo Edge is first, and why it is different. No, I am not affiliated with Logitech. No, I do not pay any mind whether or not you decide to purchase it, or anything from Logitech. My main goal is to explain my thoughts on this keyboard and also to gather insight from the gaming and hardware community as to why this thing exists or whether or not like-minded people actually purchase the Edge. 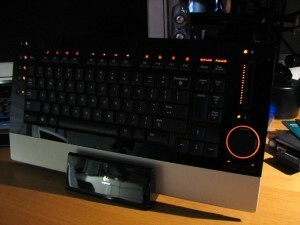 So, the Logitech diNovo Edge. In short, it is a high-grade, professional standard keyboard with precision key stroke typing hardware design, a charging base (which means it is indeed wireless and portable), a touchpad for scrolling, backlit technology, and bluetooth features. Sounds complex, right? But I’m sure you’re still wondering why it’s so darn expensive. No, I am not here to persuade you to buy the diNovo. Rather, I’d like to see myself as explaining the reasoning behind pricing an elite product like this so high, and what it means for the industry. What Makes Up the diNovo Edge’s Price Point? Check out the insane amount the diNovo is going for at Amazon ! Well, you might already know that the Logitech Edge is made especially for professionals. 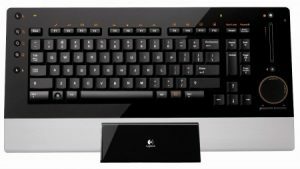 It can be used as a gaming keyboard, too, but there are certainly more affordable options out there. In the professional workforce, there is little room for error. 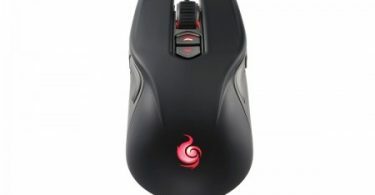 Logitech set up the design of the diNovo specifically to help minimize error by equaling all the pressure points of the keyboard buttons. This provides a fluid typing experience and one where mistakes are very limited. Another feature of this keyboard that is so interesting is the inclusion of portability capabilities. Logitech kept in mind the fact that businessmen travel frequently. Imagine how professional and mature you would look if you pulled this sleek thing o ut of your suitcase? Pretty fascinating thought, to be true. With portability in the diNovo came bluetooth. This is an incredibly useful feature. I personally do not own the product (and with that price point, even if I’m rich I still have other things to pay for), but I can imagine a bluetooth keyboard coming in handy for events like business meetings, where you’re able to instantly collaborate with others and take control using just your keyboard to connect with their devices. Conclusion: Why Buy It, Ever? Logitech tried hard to create a product that stands out (in price, mainly). But is it even worth $400? I mean, high end keyboards go for around $100 and that’s if you’re pushing it. But, this here is four times that, and hardly brings any “new” or “groundbreaking” things to the table that only a hundred or (not even) two would cost. But for some reason, people are purchasing it. On Amazon.com, there are WELL over 500 customer reviews on Amazon.com (count that, five HUNDRED) with an average review rating of 4.0 out of 5. Most of the reviews are saying it’s an extremely sleek keyboard with professional design and features, and I would agree. Yet I still cannot figure out why people would spend so much on it. Read more: Best Gaming PC Under $500 – Budget Gaming PC! 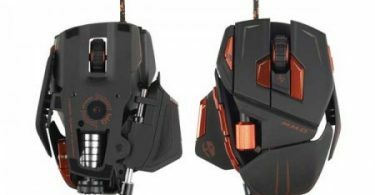 If you’re looking for a gaming mouse to match with your keyboard, take a look here! And some mouse pads.